Advent means arrival or coming. During this sacred season, we actively recall the arrival of Jesus as the Word made flesh, and we joyfully await his final return at the end of the age. But as we remember the past and anticipate the future, we are also attentive to our divine encounters in the present, the ways God "arrives" in our everyday lives. 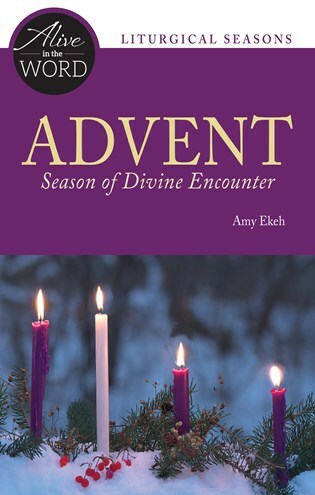 Amy Ekeh's Advent, Season of Divine Encounter helps us look closely at three key Scripture passages to recall, recognize, and anticipate the ways God comes into our lives and our world. Visit AliveInTheWord.org. to explore more of the books in this engaging new series. Our group is truly engaged in this Advent study. Our time of prayer was touching, uplifting, and encouraging. Thanks for this Advent gift . . . lives are being touched and changed because of it.